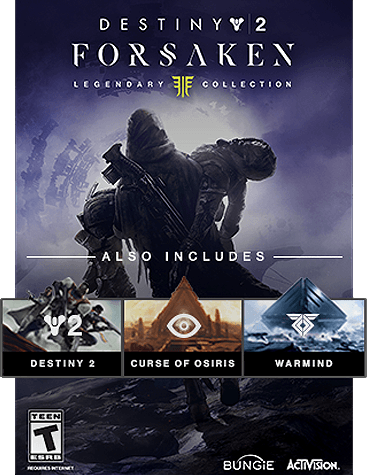 DESTINY 2 GAME REQUIRED AND SOLD SEPARATELY. 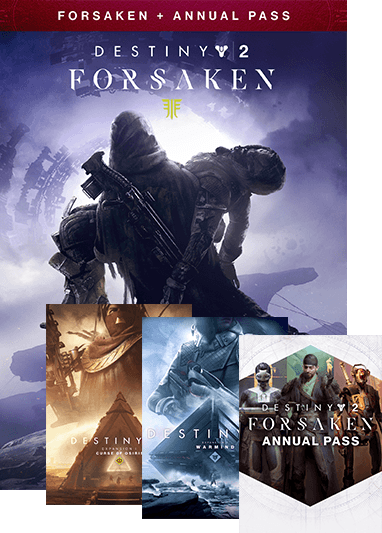 ANNUAL PASS REQUIRES FORSAKEN. 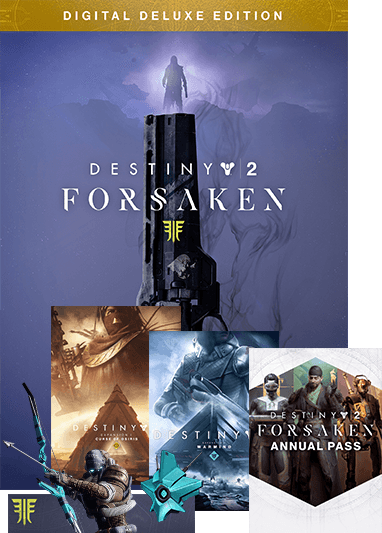 Forsaken also includes a character boost for the option to play the latest content right away. This edition includes a character boost for the option to play the latest content right away, regardless of whether you are a new or returning player. Discover the latest news, weekly events, and join the community of guardians at Bungie.net. 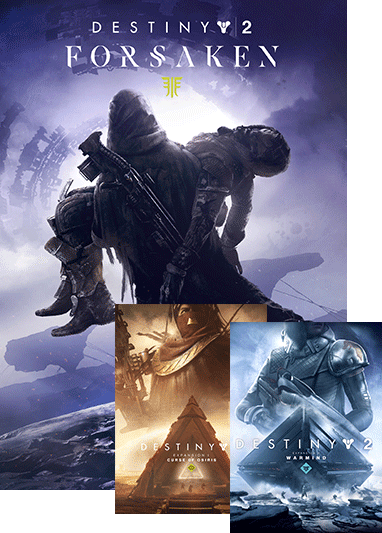 Destiny 2 base game is required to play. 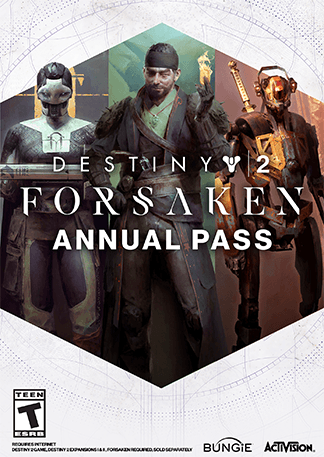 Annual Pass requires Forsaken. Please log in to the store with your PSN ID or Microsoft account to see purchase options. 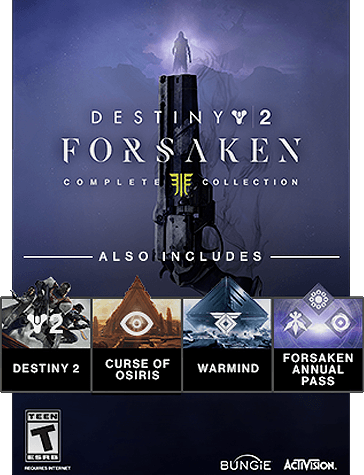 Destiny 2 base game, both Expansions, Curse of Osiris and Warmind, and Forsaken.